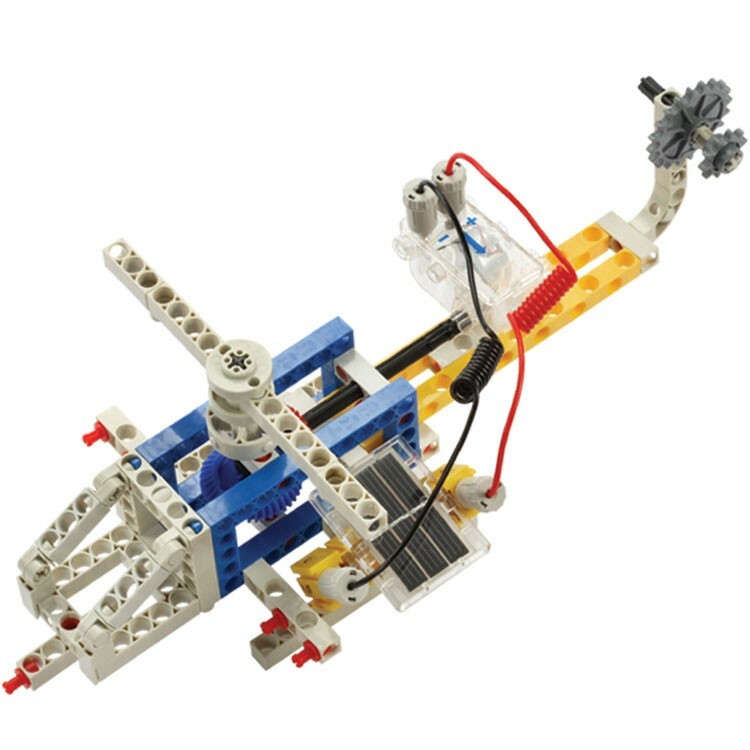 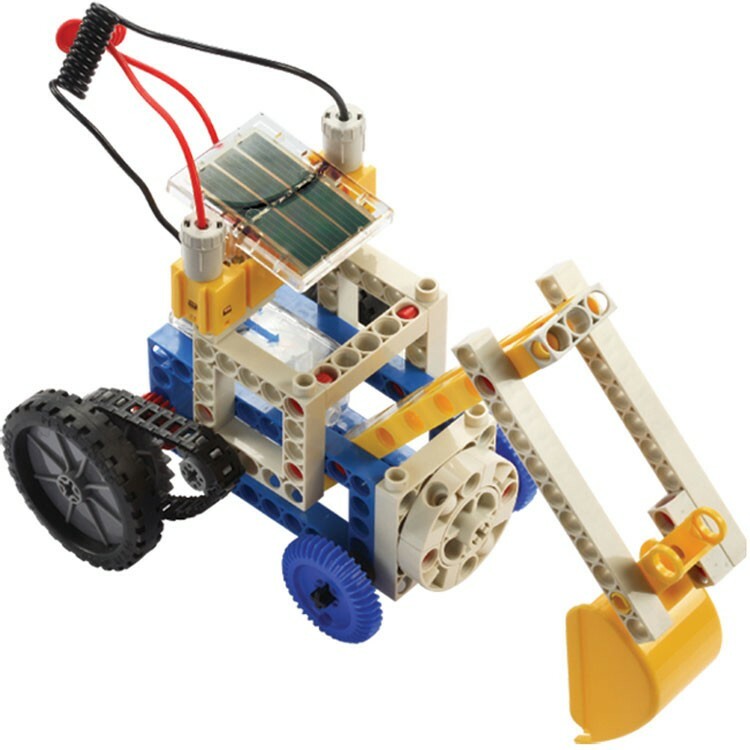 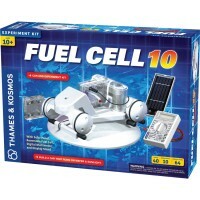 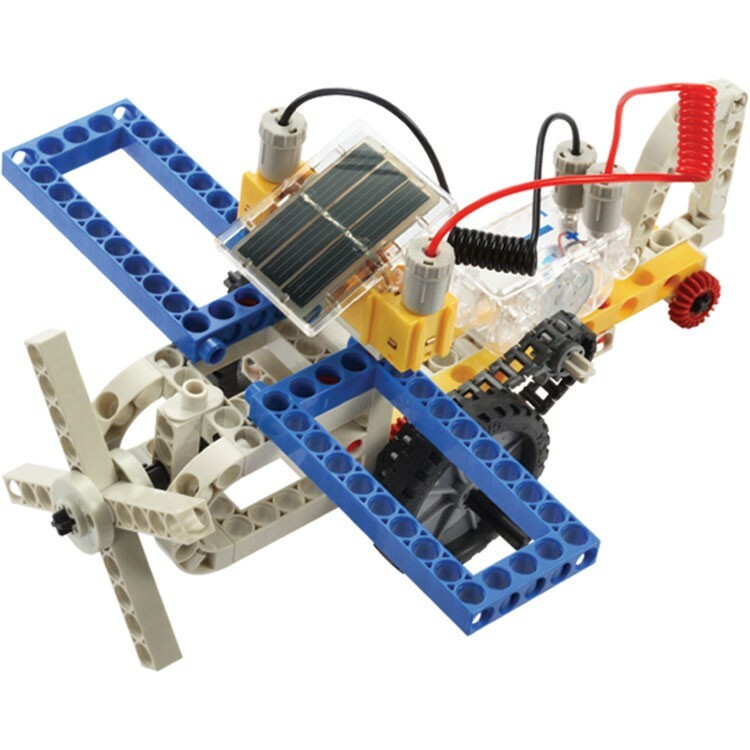 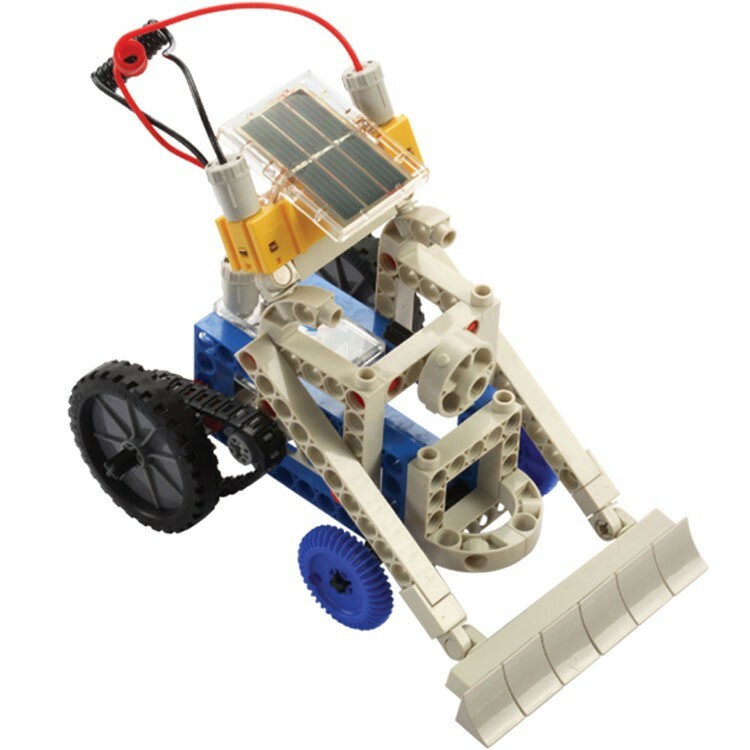 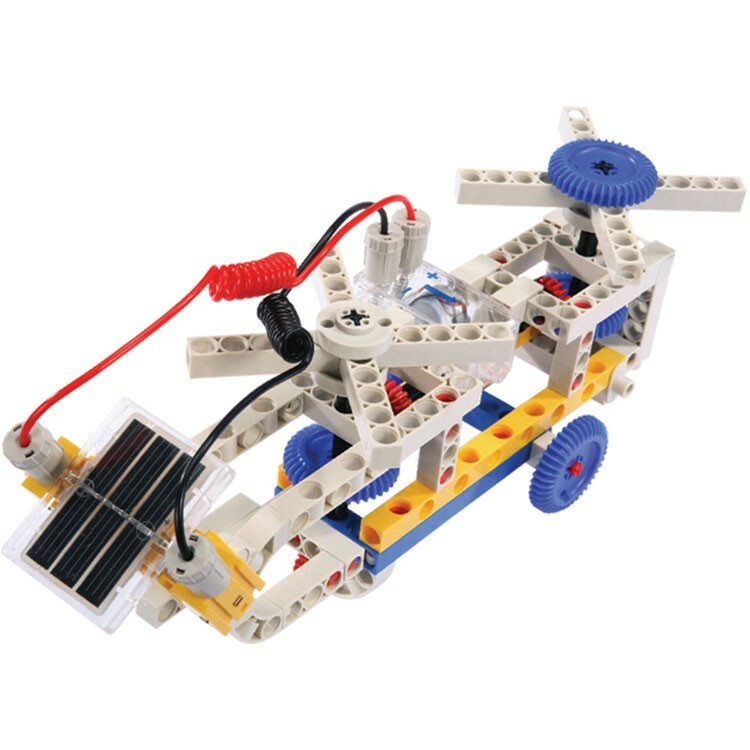 The Solar Power Science Kit by Thames & Kosmos is a cool learning activity kit that lets you build your own vehicles and capture the power of sunlight to energize your motors. 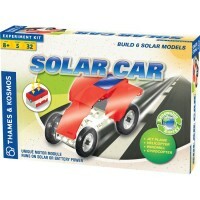 Capture light, power a car! 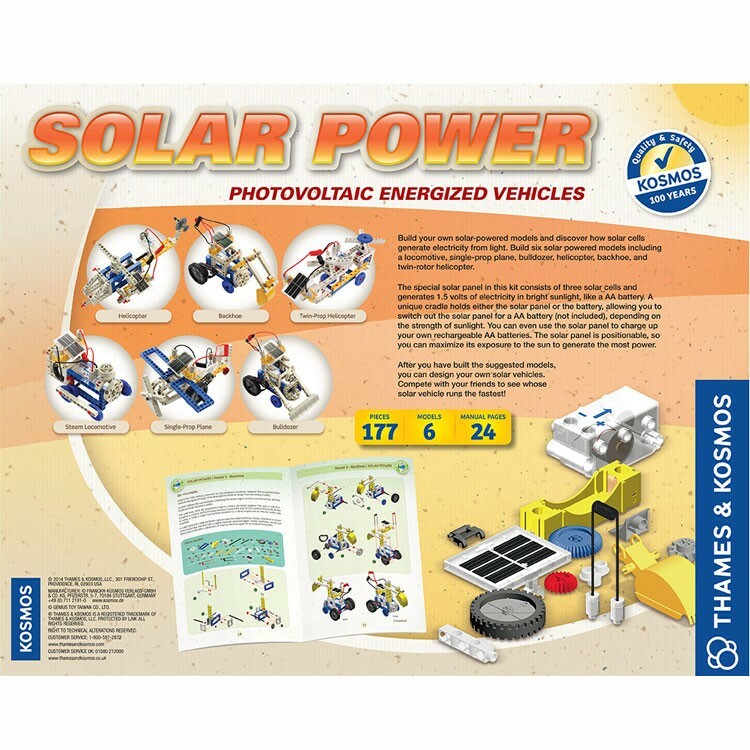 The Solar Power Science Kit by Thames & Kosmos is a cool learning activity kit that lets you build your own vehicles and capture the power of sunlight to energize your motors. 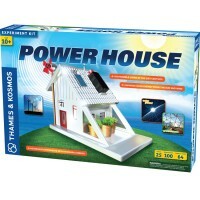 Featuring three solar cells that generate 1.5 volts of electricity (about the same amount of power as a AA battery), this unique Educational Toys Planet's alternative energy science toy is a cool way to learn about the power of renewable resources. 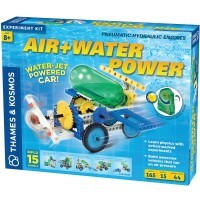 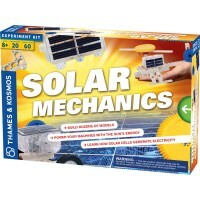 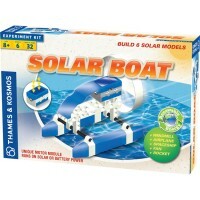 With 177 durable building pieces and a 24 page detailed instruction this Thames & Kosmos solar science set gives you everything you need to build six solar powered vehicles. 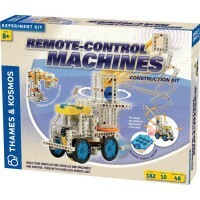 Build a locomotive, plane, bulldozer, helicopter and more! 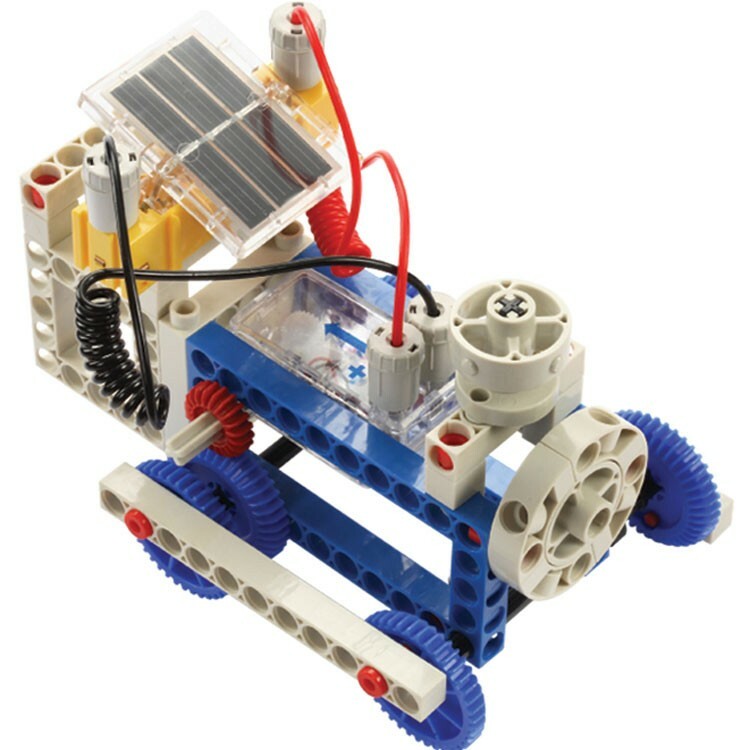 Each model features a place to attach a positional solar panel or a AA battery (not included), so your vehicles will work even on a cloudy day. 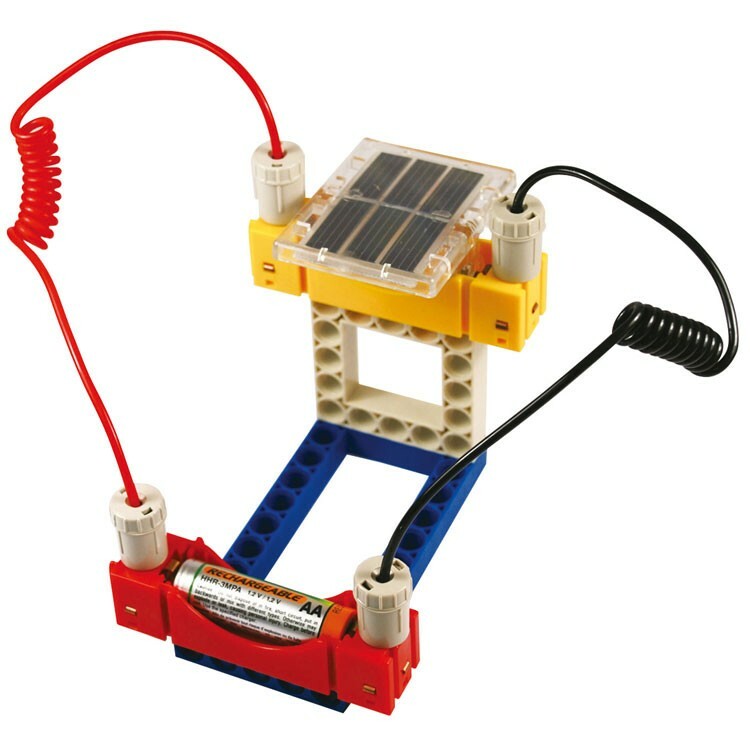 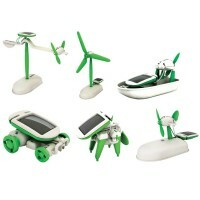 The solar power kit can also charge a rechargeable AA battery (not included) so the fun will never end! 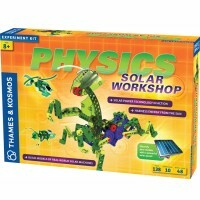 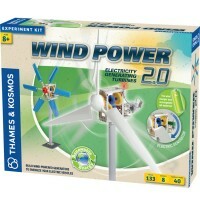 The Solar Power Science Kit is compatible with Thames & Kosmos Construction Series, Physics Series, Wind Power and Hydropower kits. 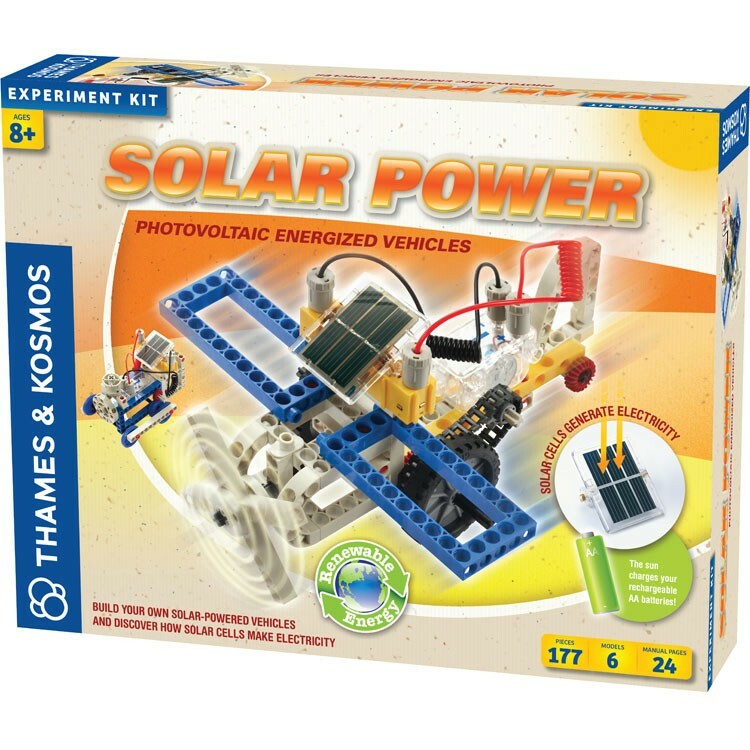 Design your own vehicles, identify the best position to capture sunlight power, and learn about the wonder of renewable energy b all during playtime! 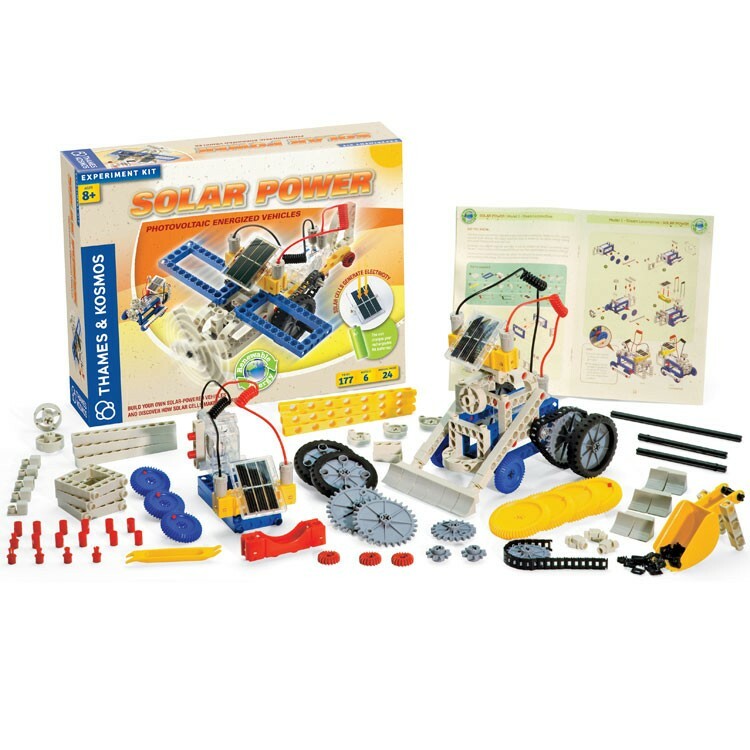 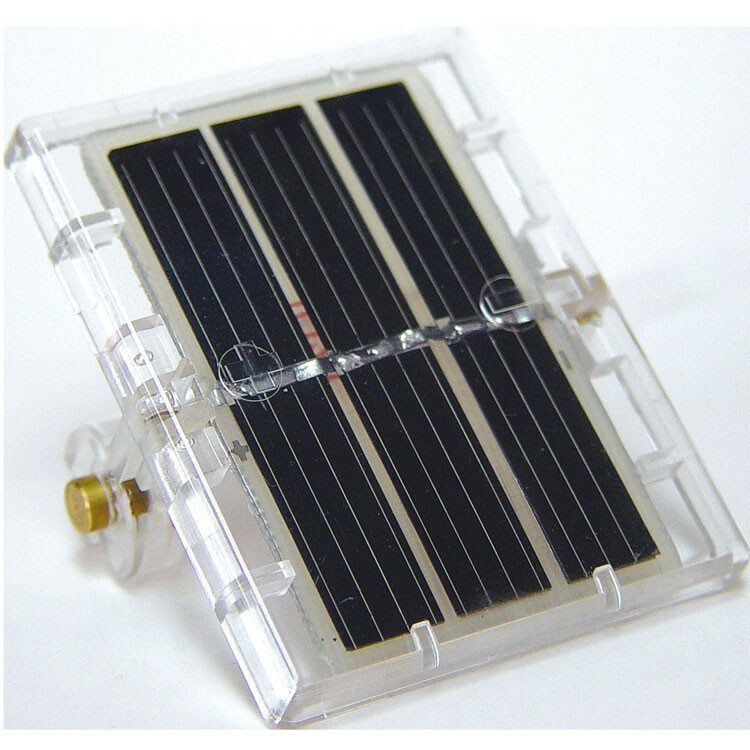 Write your own review of Solar Power Science Kit.